European contemporary cinema began post 1980’s. Moreover, after the end of World War II the European cinema was used to depict the harsh reality and struggles of their society. European films have always had a historic reputation of displaying quality over commercial gaining. In this thesis, I will be doing a comparative study of two films of the era being Trainspotting by Danny Boyle and Run Lola Run by Tom Tykwer. I will be highlighting the methods used by the director for storytelling and the social aspects used by them, the technical methods and equipment they used in the creation of their films and lastly the critical appreciation of the film by various critics during the time of release and the present time. 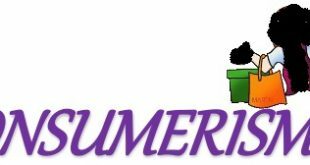 To compare the films I have employed various content analyses in primary and secondary form. My data shows that the films comprise of (hypothesis) – the youth and their individuality, the families being nuclear and a high desire for drugs and money. Cinemas have survived in Europe for quite a number of years and its heritage analysis are key issues in our new century. Various films have gone through high standards through institutional and financial support which brings the success the world sees today. And over the years, many other best rated European movies have topped the lists. Moreover, it takes extraordinary techniques and strategies to write awesome scripts that turn into a captivating entertainment such as in “Run Lola Run” and “Trainspotting,” which show deep thought and form of human communication and art. History has it that cinema was invented in modern Europe towards the end of the 19th century and has been thought to be modern. According to a study from Kyushu University, modern culture has been associated with cinemas and realist representation. The beginning aspect of cinema started from showing every event that occurs each day, such as travel films or documentary. Later on, it began to make use of great technology in which tricks are created and cinema of illusions and magic are produced. Sometimes, these concepts are combined, other tricks; they make one of these concepts more important than the other, making realism become more important than just an illusion, or vice versa. This had portrayed European cinema as more of storytelling and of illusion. On the other hand, the social aspect directors employ in the movie is another important as an aspect of the European cinemas. According to Bondebjerg et al. (2015), European cinemas tend to adopt a nation state system which is backed up by cultural policy that had existed for many years. Most of the European films take broader cultural and social look at the role of the films in the perceptual structure of our everyday life and in the development of Europe transnational images and the rebuilding of cultural identities. Directors of European films employ unity in diversity as one of the social aspect in the creation of their movies. Tracing back to history, the European cinema came into play after the awful experiences of the World War II which therefore brought Europe closer. The prior conflict that existed at the time provided the need to prioritize culture and communication, thus adopting greater unity between citizens and safeguarding the principles in which are their shared heritage. Moreover, the European culture and cultural policy became the guiding principle for the media and film policy and was based on the notion of unity in diversity. Cinemas are made for mass audiences, offering the advantage of the most impressive stories and social aspects from the intelligent directors of these case studies. The screenplay surrounds a creative story and plot, Hollywood and mainstream narrative, as well as art cinema narratives. They technically follow all the cinematic codes including mise-en-scene, settings, props, performance, lighting, cinematography, special effects, perfect editing, and sounds. All these are the structures that shape the production of these films and the rules or conventions shaping the depiction of the events, characters, and scenes on a large scale. Films are colloid art of storytelling and demonstration of art. The elements of every film have a lot to do with the visuals, which plays an important role in the entertainment to the audience. Films are easily remembered better than just listening to stories. The art of film making combines music, theater, and visual art coupled with many other elements and principles that makes it a unique form of art. Basically, directors of films perform the primary role of interpreting the screenplay and then translating it visually. They creatively choose the aesthetical and technical specifications they intend to implement in their vision. Most of the modern films are shot with sophisticated cameras that could appear 2 feet away from the actors to obtain a dynamic close-up. Other times, the film can be shot 2, 3, or many more times to ensure it is got right. Some productions can take up to 6 weeks or more before the best shots are put together later. Additionally, sound effects and music are paramount aspects of film making. Filmmakers may develop a film in a studio, outdoors, or at strategic locations distant from the studio. Many production companies go as far as areas distant from Hollywood to shoot films. The films, Run Lola Run and Trainspotting were films that were shot with amazing technical aspects that made them world best movies that did hit history. These movies were made with great light capturing and recording devices that captured the images excellently, and when projected upon a screen, they do not lose their focus and still maintain a level of quality. Besides this, these films technical aspects revolve around great visual styles, thumbing pop soundtrack mixed with innovative narrative that make them fresh and exciting. The special effects are not left out, with great editing and structure technique, and special lighting effects. A perfect performance of the techno age, Run Lola Run is a bundle of a hybrid stylized ‘screens’. This is a film screen that is all about a wild concoction of video game animation. And the music video in varying styles where high-technology aesthetics and kinetic movement take precedence beyond logical continuity. In addition to this, the opening scene is made with computer effect, slow motion, fast motion, freeze frames, self-reflexivity, zoom lens, intro-textuality, and more. Basically, the film is all about three running sequences. Lola interacts with specific non-essential characters with which are about varying outcomes of their lives after they crossed different paths. The most significant noticeable characters include the woman with the stroller, the man in the black sedan, and the man on the bike. They all had their individual Runnings with Lola. The film also features Lola as a caricature of hyperactivity similar to cartoon characters and the video game experience was filled with interactivity and hyper reality. The visual concept of Run Lola Run has a very exact storyboard because of the so many tiny details that were considered, such as the characters that stood in particular scenes, how the camera shot the most important things and more. Additionally, the story is being told in a place within a certain period of time all on the same day, which had the weather and light to be identical. The variation in the time was another aspect that was taken into consideration, and with a technical script, the visual concept was based on a technology which is organically integrated and invisible. The music was composed by Tom Tykwer himself with two other musicians. According to him, the success of the music was a result of those he works with to put it together were people who shared the director’s vision and those who understood the techno background. Additionally, they had more concepts with a mix of current music, 80s pop music, jazz, and classical and film music which resulted in an interesting fusion. The story line and the visuals show how professional the editing phase was. The film obviously would have taken some time to achieve, but the creativity was obvious in the editing phase. This aspect allows the fill to flow seamlessly, thus keeping the viewers with a constant level of emotion. The space-time continuum is turned upside down having no one notice anything, with logical path, giving each level a great look. The sequences are shot on 35mms in an artificial world. Conclusively, the overall technical aspect of Run Lola Run demonstrated some level of animation sequences, and the professionalism of a Berlin film, and was shot in Germany. Furthermore, Trainspotting opening scene utilizes different kinds of shot types and shot angles which depicted mood and feelings. The film starts off using a Low shot, as Renton runs against the camera. Then cuts into a great deal of close ups and low shots, as Renton and his friend run away, this ties in against a handheld running shot. There also existed a POV shot when he runs towards the car and entered, giving the audience a sense of danger, and making them feel nervous for a split second or two for the character. The opening of the film does not have many non-diegetic sounds used; the sound is lowered as the characters speak. The music rises over the diegetic sounds, and the narrator’s voice seems to be rising as he tells the major story at once, most especially at the opening of the movie. The other part of the opening is also is diegetic, and the sounds of the entire portion of the film are normal. A part of the audience of any movie theatre chooses to appreciate the work done in a film maker’s movie keeping the film’s flavor and the message conveyed in mind. The audience can see through every scene of the film and understand every line written by the writer and as the film attain its climax, people start to develop a perception about the quality of the film. For European movies, there are greatest film critics of all time who are keen writers from different backgrounds, with significant difference in the critical appreciation world. Therefore, this chapter tends to evaluate the past critical appreciations given to the case studies in this paper – Run Lola Run and The Trainspotting. Rolling Stone’s Peter Travers shared his opinion saying that, “Trainspotting’s flash can’t disguise the emptiness of the blasted lives. It is 90 minutes of exploration of raw power that Boyle and other casts inject right into the vein” (Travers, 1996) Desson Howe also wrote in his review for the Washington Post that “Without no doubt, Trainspotting is the most provocative, interesting pop-cultural experience since Pulp Fiction.” (Howe, 1996) Jonathan also posted is review on the Chicago Reader, where he wrote “Like Twister and Independence Day, Trainspotting is a theme-park ride – though it’s definitely better than the previous, it incorporates a series of youthful thrills, chills, spills, and swerves rather than just a story to narrate so much. 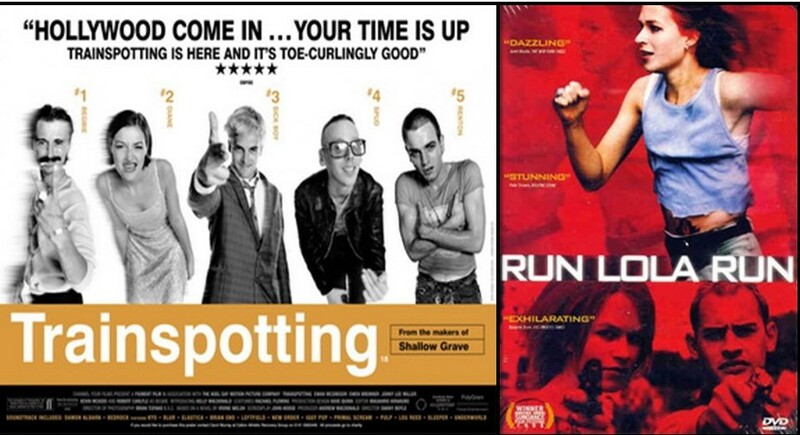 (Rosenbaum, 1996) In Rotten Tomatoes, Trainspotting has an 89% and 83 metascore on Metacritic. These films are awesome work done by the directors. The films had received great appreciations from notable critics in the film industry and had been applauded. Run Lola Run is an iconic film, and due to its representation of film that has an extraordinary history, it was more credited than Trainspotting. On the other hand, Trainspotting is a film that had more attention because of the level of actions and some part of the modern day lifestyle, it had more appreciations, and people critically reviewed it better than Run Lola Run. Finally, Run Lola Run is a mixture of real humans and the other parts which contain some animations, it is given more attention because more of creativity and reality is shown from the intelligent work, while Trainspotting uses all the element it’s made of. Cinema has been a new form of communication which had attracted the attention of various types of individuals. Cinema could either tell real world stories or just stories based on imagination. The contrasting options of the way in which film tell real world stories or imaginative stories were not just simply a choice that were a dilemma. This was a dilemma that was not easily solved, and the reason for this is that no film is completely true in the real life and not every cinema is completely an imagination, completely free of everyday life. This is portrayed in the case studies of these paper – Run Lola Run and Trainspotting are films that portrayed a level of real life situations wound around the imaginations of the writers. From these films, it is apparent to note that the writers tried to bring the reality of individual differences in relation to their cause of life and basic interests. ‘Run Lola Run’ is an offbeat movie that explores the possibilities of ‘what if’ situations, and supports the opinion that just a tiny difference can have big consequences. This film demonstrates the action in three different parts, with precisely the same starting point, and shows the likely outcomes of Lola’s attempt to save her lover, Manni, who is indebted to criminals, and has only 20 minutes to pay up. Trainspotting is a story that describes a group of young adults growing together in Edinburgh. As much as they struggled to survive, they experimented with heroine and other related hard drugs. At the long run, one of them realized he had to break free from his friends and the kind of wasteful life he was living. The bottom line of this story is the fact it’s an amazing collection of little stories that bringing about the inevitable escape of Renton leaving his friends and their extravagant way of life. Therefore, this story has motivated me to carry out a survey on the excessive use of drugs among young adults (drug addicts) and their reasons for living happily in such life as well as getting more information from families on this cause. The first section of the survey ask questions based on the motives behind the excessive use of drugs and what benefits young adults derive from the use of these drugs. According to Per Anderson 23, he’s someone who takes heroine and alcohol so often. He says it makes him look and feel grown than his age. Another reaction from Anabel Marcel 25, her parents abuse alcohol and drugs very often, and after all, since this was what she sees every day and knows her parents do frequently, she was forced to learn. Also, a response from Greg Williams 40, he explains that the nuclear families of this generation are modern family, members of the family tend to get distant and so this makes young adults peer up with friends that introduces them to such lives with total dependence on excess drugs use and extravagant spending. Justin Busto 28 a “diehard” drug addict responded to the question “Are drugs and money related?” according to him, the use of drugs and money are very much related, the lesser your supply of drugs goes, the more money you want to buy more. From various responses and reaction, it was obvious that the distance parents get to their children, the more they grow up to live the worst lives they are not supposed to live. 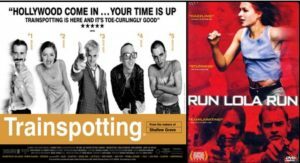 The movie “Trainspotting” and “Run Lola Run” shows that there are nuclear family, but their kids lived away from their parents, and thus, they had total independence to make a choice of their own lives. Bondebjerg, I., Redvall, E. N., & Higson, A. (2015). European cinema and television: Cultural policy and everyday life. Houndmills, Basingstoke, Hampshire (GB): Palgrave Macmillan. Elsaesser, T. (2005). European cinema: Face to face with Hollywood. Amsterdam: Amsterdam University Press.